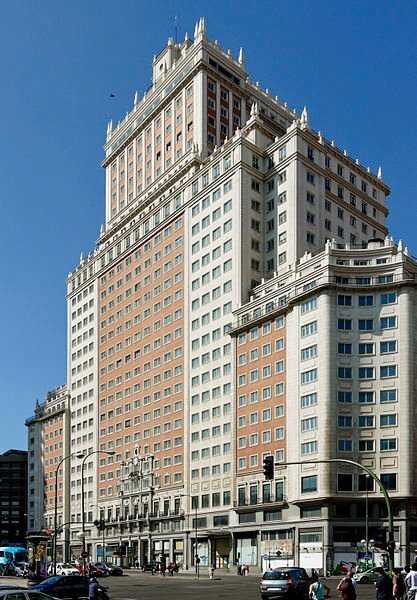 Edificio España is a 117-metre high skyscraper, built from 1948 to 1953 to house a hotel and offices. This is one of the last examples of a Neoclassical or Neo-baroque architecture, at a time when the international style, which consisted of constructing cube-shaped buildings, was developing. 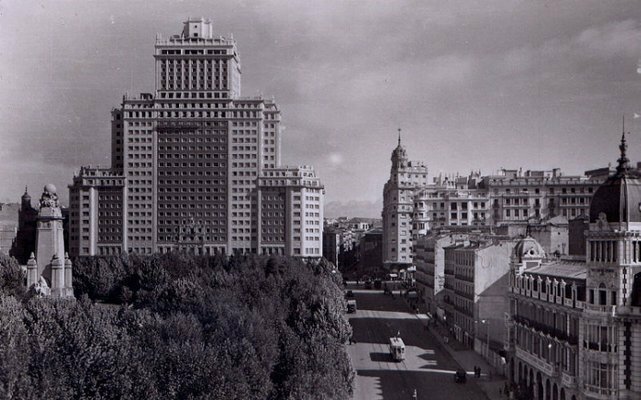 The building was sold for 277 million euros in 2005 to the Santander Group which was supposed to convert it to provide luxury apartments. The crisis in the property sector paralyzed the project. Nowadays the buildings is empty. The last workers in the buildings are saying that the doors of the elevators open and close repeatedly and that strange things happened. They also say that a ghost is haunting the 14th story.